I started Zuvaa because I wanted to see change in the fashion industry. As an African-American Woman of Nigerian Heritage I grew up with African textiles, they were always an integral part of my culture. Growing up, I often found it difficult to find modern and trendy African Inspired pieces. I created Zuvaa to fill this void. Our mission is to empower designers worldwide with the tools to enter a global market and to make woman around the world feel bold and beautiful in vibrant and eccentric African inspired designs. Through this we are not only shining a light on African Fashion, but we are also shining a light on Africa. We are changing perceptions of Africa and Africans through fashion. As the African Fashion industry becomes globalized, we want to make sure those who are taking advantage of this global industry are the ones who truly understand and appreciate the beauty and cultural significance of African textiles and aesthetics. Our grassroots approach to merchandising allows us to truly tap talent of designers on the African continent and in the diaspora. These are the designers who should be shaping the African Fashion industry and we are giving them a platform to tell their stories. Zuvaa is not just an online store, we are a community, we are a movement. We are fashion lovers worldwide who not only seek to support ethically manufactured and produced pieces, but look to make a statement. We are all about making Bold Statements in Bold Prints. Zuvaa, inspired by the Shona language of Zimbabwe word ‘Zuva’ meaning sunshine, represents the vibrancy and radiance of African culture and how our customers’ personal light shines through African aesthetics. Visit http://www.magazine.zuvaa.com/ for more information. 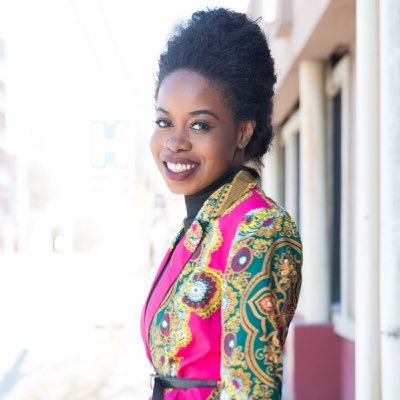 This entry was posted in Award, celebrity, honoree, Recognition, women and tagged African, African American, fashion, founder, global, industry, international, Kelechi Anyadiegwu, Nigeria, s Today's Honoree, women, Zuvaa. Bookmark the permalink.